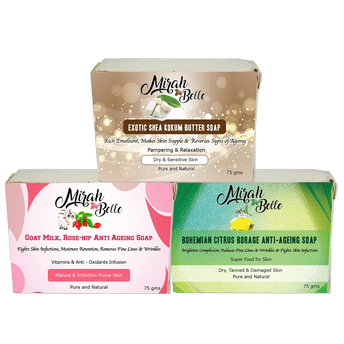 Mirah Belle's natural mature skin soap recipes have been developed to produce a mild, skin-nourishing effect that not only heals the skin but also leaves it feeling clean, smooth and fragrant. 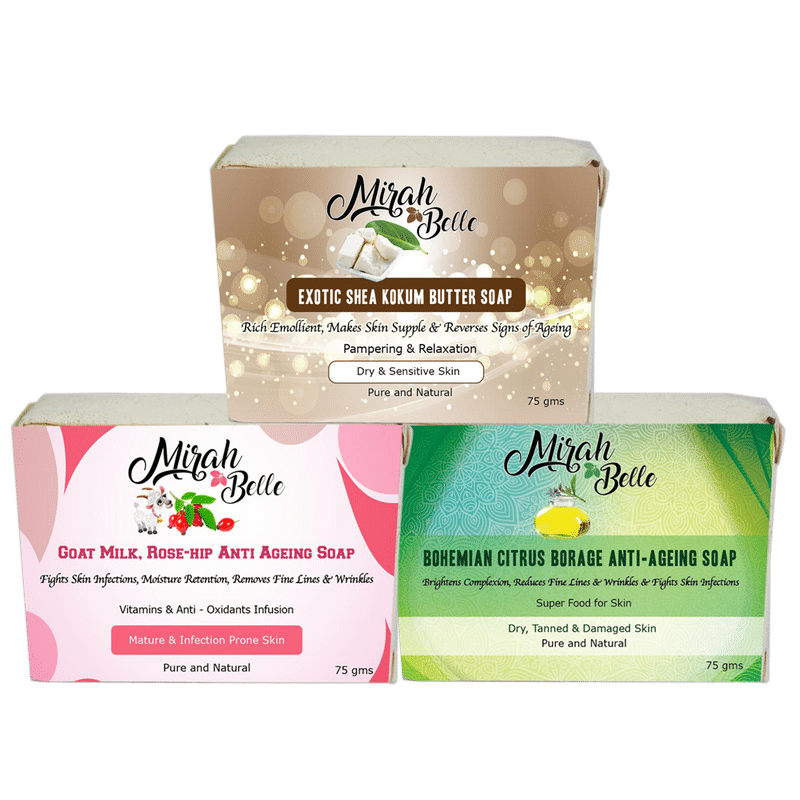 Mirah Belle brings to you cold processed mature skin soaps that retains natural glycerin. Individual skin care needs are unique, so we offer a variety of formulations for all age groups and skin conditions. Pure Essential oils are added to each variety depending on the skin type and condition. The Goat Milk Bar Soap consists of creamy moisturizing skin benefits and together along with essential vitamins and fatty acids and nutrients of rosehip Oil are an excellent combination for the skin. The antioxidants present in the soap provides an excellent cure for acne and infection prone skin. Goat Milk Rosehip anti-aging soap is not only good for maturing skin but also great for all skin types. The Soap is great to fight against any infection and helps the skin to retain moisture. Our soaps are free of Chemicals, Paraben, Sulphate, SLS and Silicon. We believe in using only natural oils and herbs. A powerful soap packed with the nutrients and Protein for a well moisturized skin. The citrus borage soap is apt for skin that has been damaged due to exposure to the sun or to the free radicals. Our natural soaps are the perfect choice to get rid of tanning and dry skin. Our soaps are free of Chemicals, Paraben, Sulphate, SLS and Silicon. We believe in using only natural oils and herbs. Handmade and Hand cut with love.